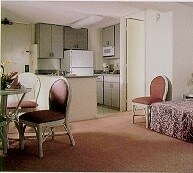 Enjoy the World’s Legendary Vacation Destination of Waikiki Beach as our Guest at the Beautiful Island Colony . 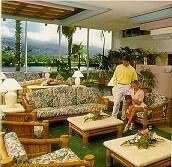 . . in an Ideal Setting along the Tranquil Ala Wai in the heart of Waikiki, near the Famous International Marketplace. Relax in Comfort & Style in your own Vacation Condo & Hotel Resort Getaway, featuring Spectacular Views of World-Famous Diamond Head, The Sparkling Blue Pacific and the Cool Koolau Mountains. Your Tropical Paradise Getaway Locale features your choice of Tastefully Appointed Guest Suites complete with Frig & Coffee-makers&ldots;Roomy Studio Suites with Kitchenettes & ldots;Or Spacious 1-Bedroom Condo Vacation Rentals with Full Kitchens Showcasing New Corian Countertops, Frig with Ice-makers, Micros & Glass Cook-tops. You’ll Marvel at another Breathtaking Sunset from the Privacy of your own Own Spacious Lanai featuring Panoramic Views and soothing Island Trade-Winds, while Sipping your favorite Tropical Drink and Soaking up the True Splendor of Paradise. For your Added Pleasure, take a Refreshing dip in our Pool, Relax in the Whirlpool and refresh in the Sauna of your Waikiki/Oahu Condo & Hotel Vacation Rental. Additional Property Amenities showcase Complimentary Continental Breakfast, 24-hour Check-in, Daily Maid Service, Casual On-site Dining and Activities Desk. Just Outside your Door Awaits all the Excitement of Waikiki . . .World-Class Shopping, Casual to Elegant Dining, Electrifying Nightlife and the Golden Sands of World-Famous Waikiki Beach. Welcome to the Island Colony: The Ideal Waikiki Beach Vacation Condo & Hotel Island Getaway. Your Waikiki Beach Vacation Condo & Hotel Resort Getaway features your choice of tastefully appointed Guest Rooms that accommodate up to 4; Roomy Studio Suites with Kitchenettes that sleep 4 Guests: Or Spacious 1-Bedroom Condo Vacation Rentals showcasing Full Kitchens that accommodate up to 5 Travelers. All Linens & Towels Provided.